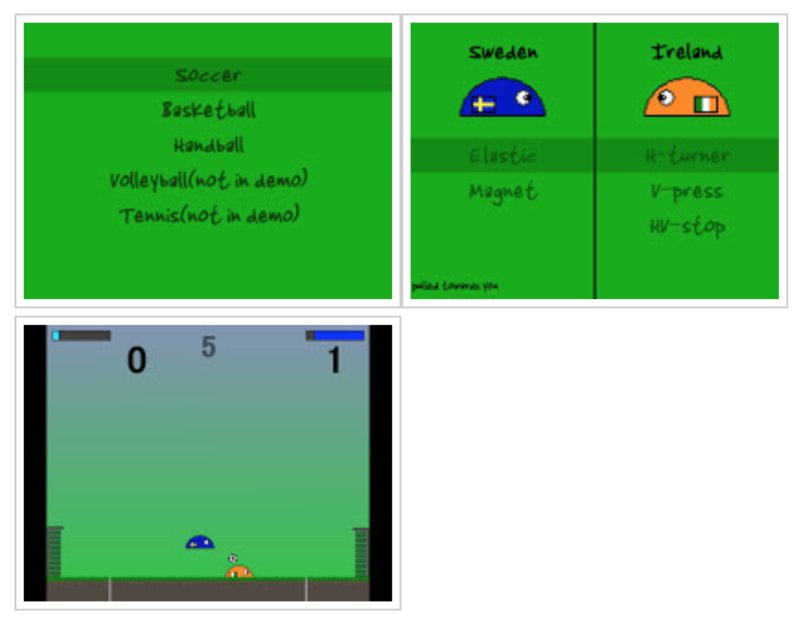 The current version of Super Slime Soccer is actually the 4th rewrite of the game. I've lost the files for the games, so I can only share screenshots. If anybody has the game lying around somewhere, please contact me, I'd love to have them. I think I was about 14 when I made the first version. I used to playtest it with my brother. I had slimes belong to different nationalities in the first 3 versions for some reason. The slimes had multiple abilities in the third version. 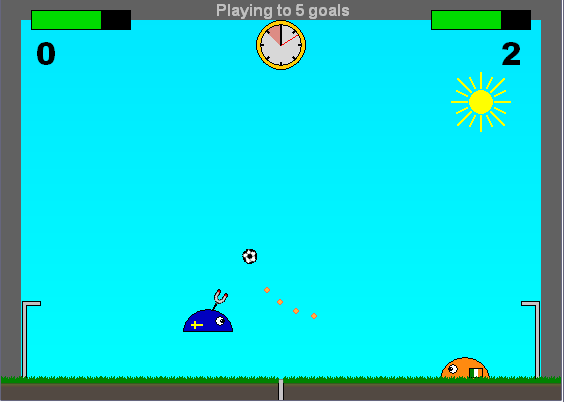 I think those goals look pretty nice actually, maybe I should add different kinds of goals to the current version? If you like what I do, please consider supporting me by buying me a coffee . You read about me on my personal site: http://mollerhoj.github.io.